It's official! Santa Claus will be coming for his annual tour of the Concordville area. Due to the poor weather forecast this weekend we will attempt to start our rounds on Sunday December 16th , beginning at 12 noon in the Thornbury and Glen Mills area (weather permitting). We will attempt to cover more local neighborhoods next week in the evenings. Santa will be hitting the streets accompanied by his firefighting helpers, who will be distributing candy canes to all residents. Be sure to listen for the sirens on the 16th, that means we are in your general neighborhood. We will also place a Santa Tracker Link on our Facebook page so that you can get a more detailed idea of where we are once we start out. But if you are in a smaller street or cul-de-sac, you may have to come to the closest cross street to see Santa. A friendly remember.... Our firefighters and their families enjoy volunteering their time to bring this longstanding holiday tradition to our communities. 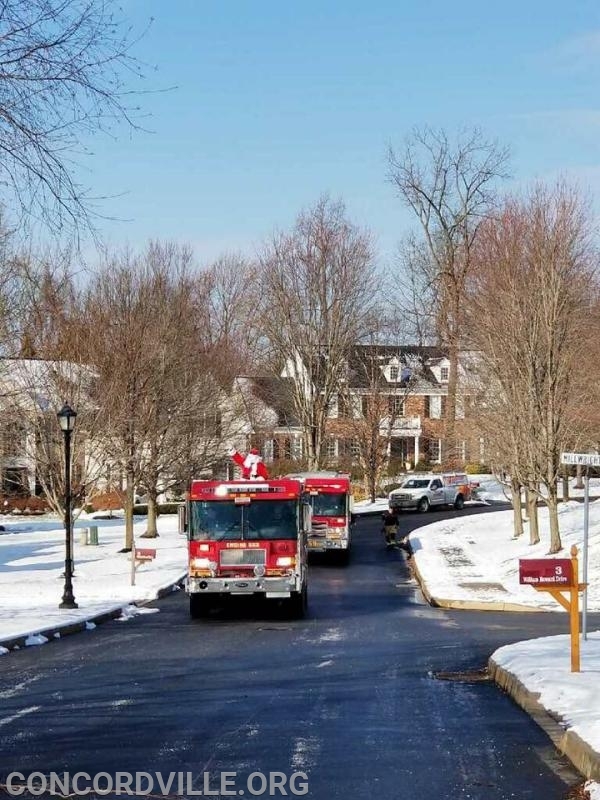 Santa and his helpers do their best to make appearances in all of our District's areas, but please keep in mind it is impossible to drive down every street of our nearly 45 square mile local district. 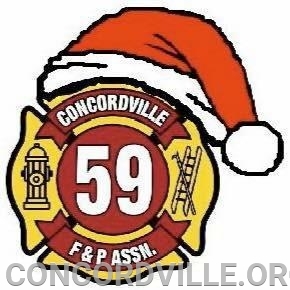 So this year Concordville Fire and Santa will be parked at two locations during the week. That way in case you missed Santa you will have the opportunity to see us. Tuesday 12/18 @Thornbury Park & Wednesday 12/19 @ the parking lot of the Concord Township park om Smithbridge Road from 6:30 to 7:30 PM. If you have questions please feel free to post on our Facebook Page and please feel free to post any pictures of Santa and his crew.